"Parking is an ancillary service like the restrooms in buildings" (this goes with the conventional suburban approach that focuses on minimum parking requirements). "Parking is local infrastructure like neighborhood public transport facilities" (this goes with the group of approaches that I call 'parking management' which uses a wide variety of parking policy tools). I ended that post by promising to say more about #3. So here goes. Did objections come to mind when I said parking is real estate? I wouldn't blame you. Parking is indeed different from real estate uses like office space, housing or retail space. The most relevant difference is that we don't visit anywhere for the purpose of parking! We visit to do something else. Parking is secondary to the main things going on at your destination. So parking is a use of real estate that plays a supporting role to those main activities. Which brings me to the analogy I want to explore today. By 'basic dining' I mean places for no-fuss eating or drinking (and maybe to sit a while). Notice that I am not comparing parking with fine dining. Going to a fancy restaurant often prompts a special trip. Sometimes it's a long trip. So the analogy with parking works best for basic dining within walking distance of wherever you happen to be when hunger strikes. If we stick to that kind of basic dining, then like parking, it is incidental to our main business in the area. But even if such dining plays a supporting role, it is still obviously a use of real estate. And so is parking. I think this analogy is useful because it draws attention to important issues that often get forgotten. Basic dining space is similar enough to parking that there are many parallels to explore. Yet, it is different enough that the parallels make us think. They force us to look at parking with new eyes. If the analogy were perfect there would be no point. Basic dining (that you would not make a special trip for) reminds us that, unlike office space or housing, parking is a highly local concern. It doesn't make sense to talk about the city-wide supply of parking. Basic dining and parking are relevant only to their own vicinities. This analogy focuses our minds on the opportunity cost of parking areas. The notion of 'real estate' reminds us that parking consumes space. It reminds us of this more forcefully than the ideas of 'infrastructure' (#2) or 'ancillary service' (#1 above) do. Thinking of parking as a use of real-estate like dining space helps draw attention to the market value of the service. Actually, we sometimes forget the real estate aspect of this when dining too. We sometimes imagine we are paying only for what we consume plus some service. In fact, a large part of a restaurant or cafe bill is real estate costs. Both basic eating out and paid parking have both real estate and service components (of course the proportions are different). Viewing parking as real estate like basic dining reminds us that parking is often a commercial enterprise. It prompts the question of why commercial parking is not more common. The analogy should make us wonder about the wisdom of government subsidised parking and minimum parking requirements. More on these issues below. Basic dining space, like parking, can bundled with other real estate. Examples include your dining room at home or a staff lounge at a workplace. But that doesn't change the fact that it is still real estate. Similarly, even if we don't pay for parking space explicitly or separately, it is still a use of real estate and it still has value as real estate. It can be difficult to think of parking at the kerbside as real-estate rather than infrastructure. But I think the dining analogy helps. For example, the fact that some dining takes place in the streets doesn't change the fact that it is a use of real estate. This is reflected in the fact that most local governments charge fees to allow tables and chairs on footways. Both on-street parking and street-side dining are uses of public space for a private purpose. In both cases, it is reasonable to pay some kind of 'rent' for the space. Suppose a busy commercial area had hundreds of street hawker stalls serving food at plastic tables and chairs under umbrellas on the sidewalks. And suppose these hawkers needed no license and paid no rent to the city for using the space. That would obviously be a strange way for the city to manage such valuable space. Even if that many hawker stalls were allowed, surely their private use of public space should require some kind of rental payment. So the dining space analogy reinforces the idea that free on-street parking is an odd thing to allow in busy areas. Sometimes parking space literally becomes dining space, as in this photo showing San Francisco's parklet program. Photo: Matthew Roth. In the open-access street-side dining situation above, few indoor food outlets would be viable, right? So would a government-subsidized cafeteria be a wise answer to a lack of indoor dining in the area? I doubt it. Yet, many cities try the same trick with parking. If we allowed hundreds of rent-free street hawker stalls in the streets, would "minimum indoor restaurant requirements" be the answer to the lack of private sector indoor dining? Would such efforts to boost indoor eating space automatically reduce street hawker space very much? Would they make local restaurant businesses more or less profitable? Ridiculous, right? Yet the same approach is a centrepiece of parking policy in most cities. So do you see the point of the analogy? Is it a useful way to think about parking? It is not that we MUST think of parking as real estate. But it can be useful to choose to do so. It helps us to see mainstream parking policy in a new light (in which some of it looks a bit foolish). It also makes it easier to see the potential for more market-responsiveness in parking. What do you think? Does this analogy help you think about parking in new ways? Does it illuminate or confuse? Paul -- you just touched on Parking as a Business, yet half the parking in the US is a formal business and I suggest ALL parking should be viewed as such. Just as a city runs a museum or a concert hall as a business, so must (or should) it run parking as a business enterprise. 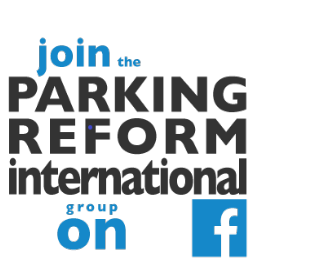 IN the US the numbers may be greater than half, in that a very large proportion of parking spaces are owned by the private sector and let out as a money making proposition. Although as a percentage of the total revenue, the parking portion of the income in an office complex may be small, but it still can return sometimes many millions of dollars to the owner. I've seen many cases where appraisers try to evaluate a free standing parking operation and do so based on the value of the land, and not on the value of the business that is being conducted on that land. One wouldn't compare a 10 and a 30 story office building with the same footprint, but many attempt to do so with parking operations. Its a business and should be considered such, I think. Thanks John. Yes, framing parking as real estate makes the idea of it as a business seem natural, especially to folks like you and others in the commercial parking industry itself. But it doesn't come so easily to some. People who vehemently defend sky-high parking requirements don't think of parking as real estate that can be run as a business. They see parking differently. By the way, I am a bit sceptical of the claim that half the parking in the US is run as a business. I would have thought much more than half of North America's parking would be bundled with other things (suburban shopping centres, strip malls, office parks, housing) and free-of-charge to end users and with in-house management, not the professionals. Dave Brook of the Carsharing US blog (http://carsharingus.blogspot.sg/) emailed with a comment and agreed to let me share it here: "Using your restaurant analogy, I would argue that in most places in the US, (on-street) parking is like a homeless shelter serving free meals - the supply is limited, it's free at least for the early people in line and its cost is not apparent to the diners." You are absolutely correct that today parking has become a good business.But some how it is necessary also.Today many run parking as a business. Hi Paul. You've put together a fantastic post here.